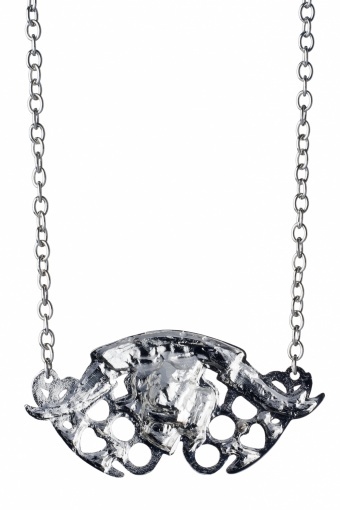 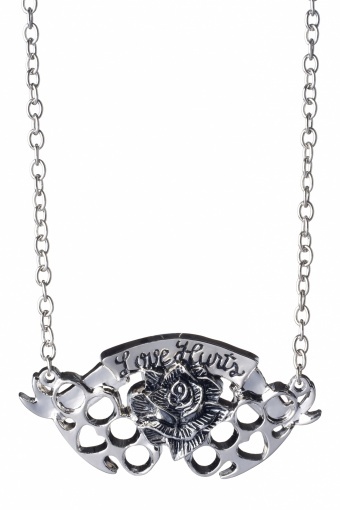 Rockabily style Silver Love Hurts Banner pendant necklace by ROCK REBEL. 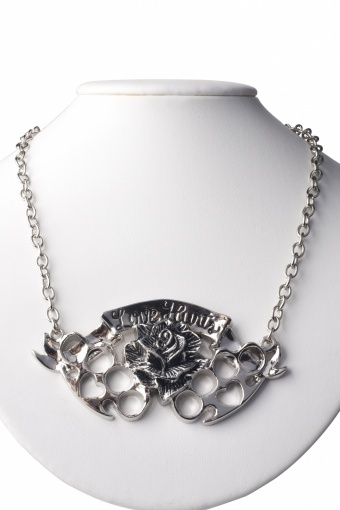 In silvertone metal (zinc alloy) knuckle-duster with rose and Love Hurts-banner on short solid chain necklace with lobster closure (nickel tested). 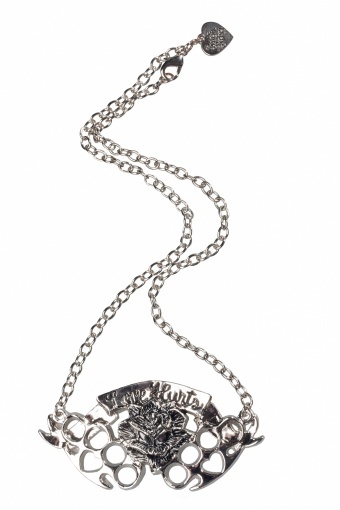 Soooo cool!